Stella's Musings: Chhattisgarhnama III: At 56, she labors hard, so her girls can stand on their feet. Chhattisgarhnama III: At 56, she labors hard, so her girls can stand on their feet. Phulwanti - woman who is defying age and poverty to ensure the girls in her home grow up as strong, self-sufficient women. Like so many of my aunts living in villages, Phulwanti Sahu of Machandur village in Chhattisgarh also can't say the year that she was born, or, how old she really is. 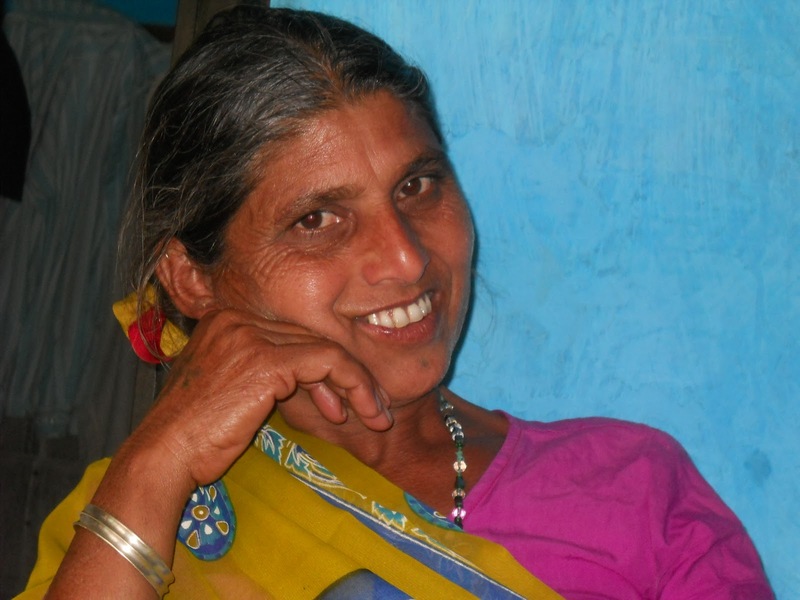 Her ration card (the little book that allows her to buy food grains and sugar at a subsidized rate) shows she is 56. On the afternoon that I reach her home, a little girl playing in front of her house tells me that 'Ma' has gone to work in the field. This is, however, only half the truth; contrary to what it sounds like, Phulwanti is not working in her own farm. Instead, she is working as a laborer, in a neighbor's field, cutting the hard, uneven ground, making it even (Chhattisgarh government called it Bhumi sudhar yojana/land improvement scheme). This work, provided to her by the government for 100 days in a year, is Phulwanti's sole source of earning. With INR 122 per day, she earns INR 12,200 a year (about $250), that is, when the 'Thikedar'/supervisor is not corrupt and not cheating on her. And she has three people to support: herself and two young, school-going girls. Both the girls are her own grand children, but daughters of two different mothers. The elder one of them, Neha, was abandoned by her mother when she was 3 month-old. Her father, Phulwanti's son, is a migrant laborer who travels from state to state in search of work. A few years ago, he remarried, got three more children and decided to take care of two of them - both boys. So, the girl child - a 7 year old Dolly, was sent to the village, to Phulwanti. The old woman, who struggles to get a square meal for herself, took both the girls under her wings, and is today playing the multidimensional role a parent, a care giver and a friend. There is a school in Phulwanti's village, but it provides education only upto the elemenatry level. Little Dolly studies here, while Neha, a student of 7th grade, has to travel 3 Km to go to her school. Under a government scheme, Phulwanti has got a toilet in her house, but like most other villages in the region, there is no water. Both Neha and Dolly wake up early and fill up old plastic cans (Phulwanti can't afford to buy either pitchers or buckets) from a borewell by the road - a good half a km from their house. "The girls work very hard", says Phulwanti, with a flicker of pride in her eyes, "they sweep, clean, and store water. Neha also cooks at times. They know their grandmother is getting old and try to decrease my burden." The burden, however, is not easy to lower. Neha is growing up fast and Phulwanti worries about the time she will get her menstruation. Walking 6 km a day is going to be tough, so will be the job of carrying all the water cans. The girls will need more nutrition in their daily diet. Besides, Phulwanti cooks over wood stove (cooking gas is beyond her reach and shockingly, the idea of biogas - the most affordable mode of cooking fuel to rural folks, is still alien here) and it might affect the girls' health. But not one to watch helplessly, Phulwanti is doing all she can: planted years ago, there is a Moringa tree in her house which has started bearing fruits and Phulwanti, who can't find either the money or the time to buy vegetables from local market, often cooks Moringa for the girls. And this year, she offered her paddy grower farmers, to sell their paddy in the market for them, so she can earn some extra wages and one day buy a cycle for Neha. 'I did not get to study. But two years ago, I learned from my own daughter (who studied upto 8th grade) how to add, subtract and multiply. I also learned how to deposit and withdraw money from a bank. 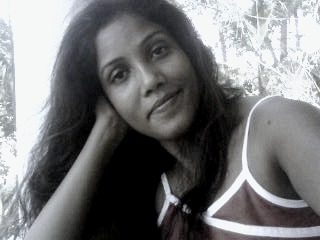 My neighbors, who are busy and are also illiterate, find it convenient if someone did the job for them,' she says. In villages around here, girls are married off at the age of 18, if not earlier. Phulwanti herself was married at 15. But for her granddaughters, she wants a different future. "Neha was abandoned by her own mother. Dolly has been left here by her father. How can you say that the husband will stay by them?, she asks and continues,"Women must have means to take care of themselves. I want my granddaughters to study as far as possible and start earning. They should never be dependent on anyone in future. As long as my hands and feet are strong enough, I will labor." As she talks, I look at this woman; dressed in an old synthetic sari, grey, dry hair tied with a piece of cloth (torn off the border of a sari), with no slippers and calloused hands, she is your typical woman living below the poverty line. But her vision, coupled with her courage makes her a woman you don't dare feel sorry for; only bow to, in respect.